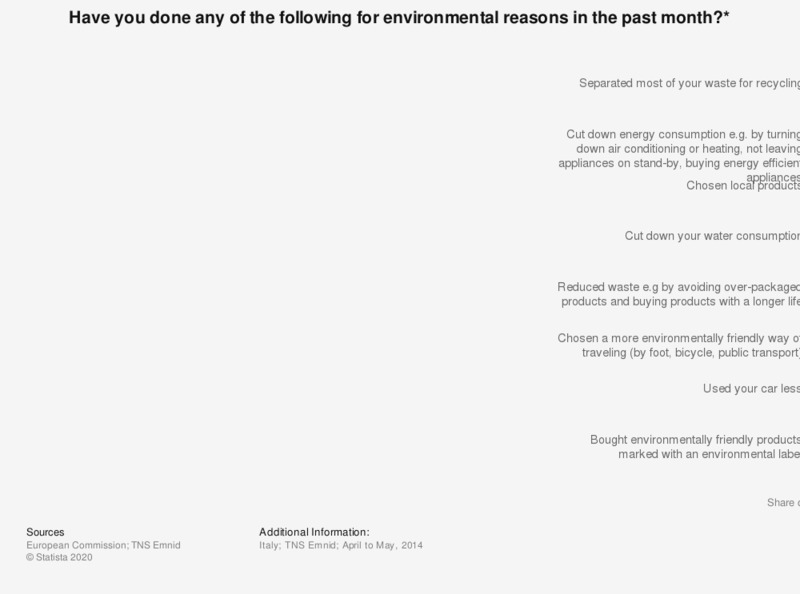 This statistic shows whether adults had done any of the selected things for environmental reasons in the preceding month in Italy in 2014. A majority of almost 70 percent said they had separated waste for recycling and 30 percent of respondents stated they had put an effort in choosing local products. Who should take most responsibility for dealing with energy security?